Gloucester has long been famous for being a visual arts haven for painters, printers, sculptors and patrons of those arts. Less recognized for it, Gloucester has also been a haven for her musicians, and I cannot express how lucky I have felt to be a member of that piece of our community. Gloucester’s musicians do a good job of keeping competition at bay, while doing their best to support each other and it has often created opportunities of collaboration with amazing results. Gloucester can also boast her support and success of entrepreneurs. If the fishing industry is not convincing enough of this, just take a walk to the crossroads of Main Street and Pleasant where you will find three organizations that are bringing the visual, performing and entrepreneurial arts together: Art Haven, The Hive, and a new collaborative, Sound Harbor. Many know of the incredible work that Art Haven (for kiddos) and The Hive (for teens and adults) have done to provide opportunities in education of the visual arts. From painting and printing, from pottery to sculpture, from photography to graphic design, over the past 7 years kids and adults have had incredible opportunity to explore their creative sides in these highly supportive and empowering environments. Less known—but only so because of its youth—is Sound Harbor. Created just over a year ago, Sound Harbor is a new initiative bringing that same supportive environment to kids and adults alike, but this time through music. Founded by a handful of Gloucester’s own musicians, Sound Harbor came about for a variety of reasons. When Art Haven started taking off, I often thought what a shame it was that music was not a part of that. Having been a teacher of independent music instruction for five years now, I’ve been a first hand witness to how music helps people find their voice, literally and figuratively. I’ve watched once shy and introverted students blossom into incredible performers and songwriters, pouring their hearts out on stage and taking risks they only dreamt of taking before. It’s become less about the actual art of creating music, and much more about learning and pursuing who you want to be. I wasn’t the only one who felt that Gloucester lacked this opportunity. A big group of other musicians felt the same way, and for some reason we all, independently, went to David Brooks (founder of Art Haven and the Hive) for help. He brought us together, and Sound Harbor was created. Our board is like minded in why this initiative is so important. We all feel that arts funding is too often cut in our schools, and that which remains is not enough to provide adequate opportunity to our students. I am a firm believer that it is art and music opportunities in schools that give our youth the courage of self-expression, the self-empowerment to contribute to bettering the world, the confidence to explore and discover. Not only that, but it offers a safe space for youth and adults alike to process emotion in a society that limits these spaces to short outpourings on Facebook and Twitter, if offering any space at all. Our president, Steve Lacey, a Gloucester Jazz guitarist, agrees with that sentiment. He writes, “I believe we all need to be given the chance to make art and music. 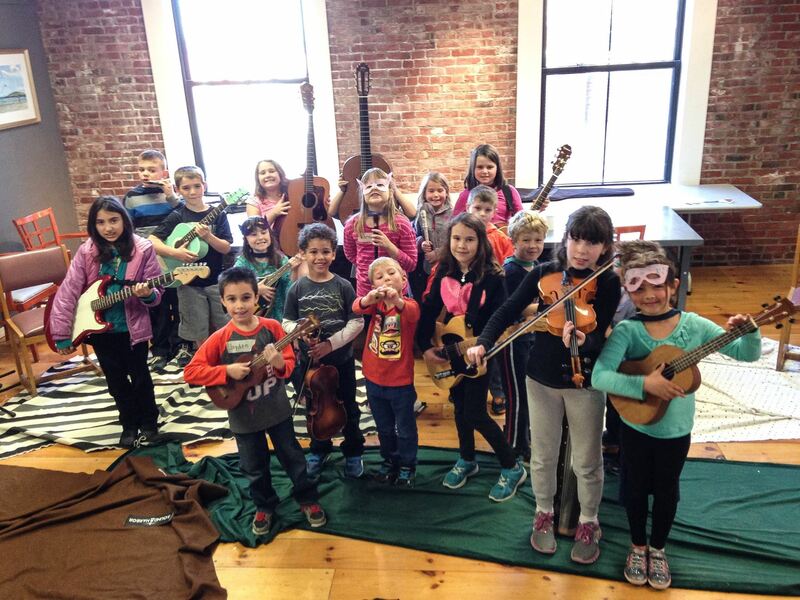 It is a way of expressing and getting to know your inner self… Places like Sound Harbor positively impact our community by giving kids and adults an education and something to do that is both self-gratifying and uplifting to the people who get to hear or see it. Since support in public schools has decreased, it is up to non-profits such as Sound Harbor and Art Haven to pass on the age-old tradition of making art.” And that it just what we are doing. Sound Harbor has much to be excited about. It is recently an official 501c3 non profit, and it now has a new home, located inside Art Haven at 180 Main Street. Art Haven and the Hive have been incubators for Sound Harbor, supporting each other’s missions in order to provide the most for our community. Sound Harbor will be hosting an open house on May 23rd from 2:30-4:30, celebrating their grand opening in their new home, and giving some of their students and staff an opportunity to share what they have been doing over the past year with a performance at 3pm. We welcome all to come check it out and enjoy some light refreshments as well as an instrument petting zoo. Those who have always wanted to play an instrument but never got the chance, or those who have played but want to try out something new will be able to try as many instruments as they can hold during the open house. Also, Sound Harbor is currently seeking board members and volunteers. Even if you are not musically inclined, the organization is in need of graphic designers, grant writers and general support. All interested are highly encouraged to apply. What is most incredible about these three organizations—Sound Harbor, Art Haven and The Hive—is not just the programing that they provide, but the community they are creating. It is where both young and old alike come together to not only create, but to contribute. They are part of the foundation that makes Gloucester’s community stronger than ever. Check out our new location – we’ve been building! Charlee Bianchini is a native of Gloucester. 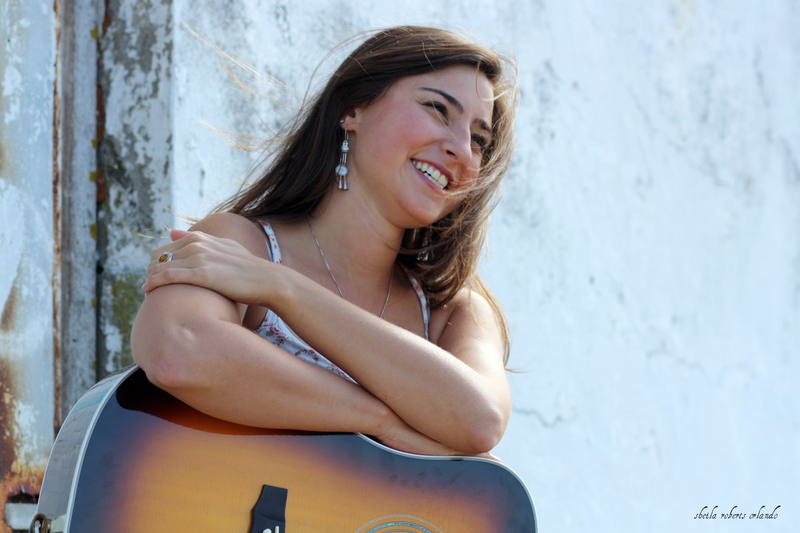 She is a singer, songwriter, guitarist, and music teacher.